These Chocolate Gingerbread Tahini Cookies must be the easiest, quickest holiday cookie you won't have to bake. Made sweet and creamy with tahini and honey, spiced with cinnamon, ginger, and allspice, and dipped in melted dark chocolate, these are essentially a festive, edible cookie dough. Miso soup meets a broth-y Mexican tortilla soup. 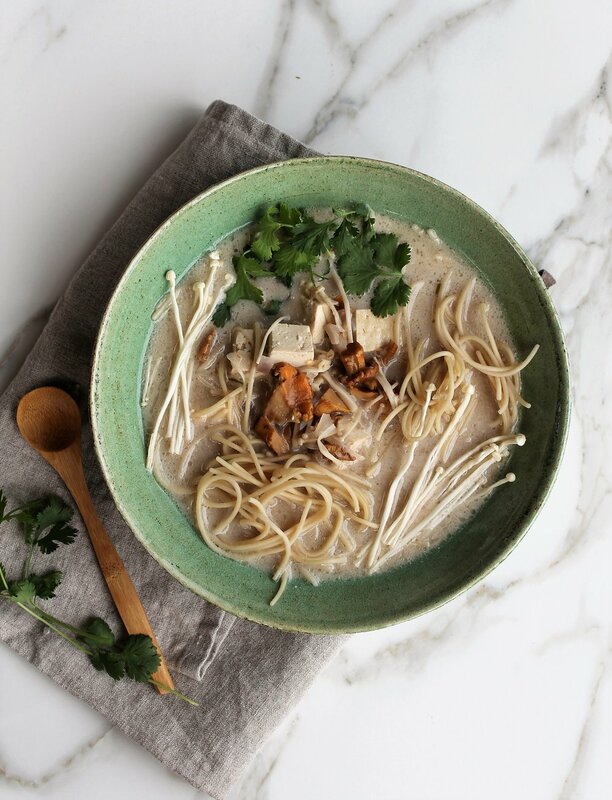 This is a warming Mexican-Asian fusion meal to boost immunity and gut health with bright, clean flavors of ginger, lemon, and fresh cilantro and an umami richness from probiotic-rich miso. This veggie bowl, packed with a rainbow of colors and a slurp-worthy ginger lime peanut sauce, is an ideal recipe to incorporate into weekly meal planning. It’s appliance-free, uncomplicated cooking that helps you get real food on the table in real life.